AXON is an advanced virtual interconnection platform that enables high-performance connections on-demand between your clouds, carriers and data centres. Delivering fast and private connections, AXON allows you to unite your mission critical services and orchestrate your own custom hybrid network in real-time. One AXON port = many virtual connections. Virtual connectivity on the AXON platform is delivered via our highly secure, lightning fast Ethernet connections which can be turned on and off as and when you need them. 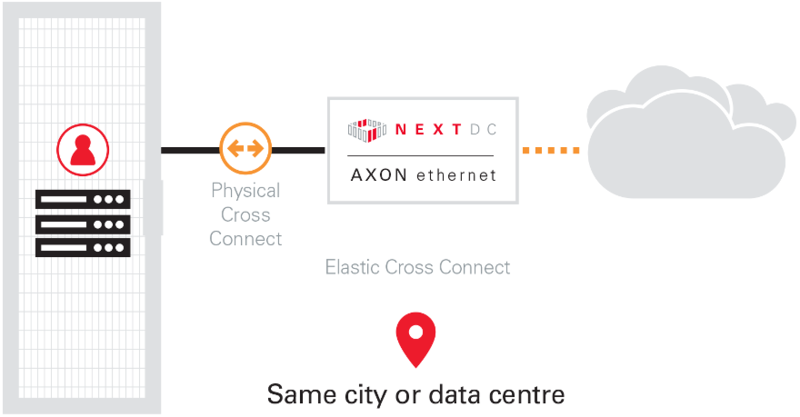 Delivering high performance inter-cloud connectivity, AXON puts you at the centre of your hybrid cloud universe. Customise and manage your own private, secure network in real-time with the cloud providers hosting your mission critical workloads. With AXON you’ll enjoy the endless scale and agility of cloud without compromising on cost, security or performance. Delivering cost effective inter-data centre services at unprecedented speeds, connecting your data centres has never been simpler. Our cost effective metro data centre to data centre connectivity options start at just $200/month for up to 10Gbps. Delivering a comprehensive view of the carrier options available between more than 40 data centres around Australia, AXON allows you to source and select your preferred carrier services. How does AXON help your business? The beauty of AXON is that it never touches the public internet. AXON offers you greater control, stability and performance of your critical infrastructure and enhanced security of your crown jewels…your data! Sign up now or contact us to discuss how we can simplify connectivity for your organisation.